Holland Park is a popular London district that is located in the Borough of Kensington and Chelsea. 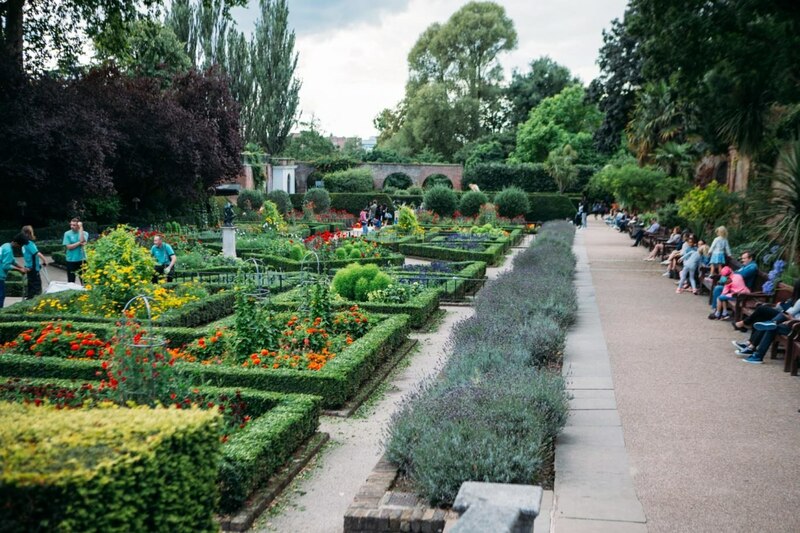 The 54 acre area has a massive woodland area home to all sorts of wildlife and wildflowers such as a Japanese zen garden, a waterfall and picturesque flower gardens which makes it easy to see why Holland Park is considered to be one of London's best kept secrets. The park also boasts a massive outdoor chess set, a merry-go-round, and a children's play area with complex climbing equipment, a zip wire, a giant see-saw, a tire swing, as well as a separate fenced-in play area for younger children. The nearby residential streets are an affluent area which boast expensive houses worth up to £10 million while the cherry trees that blossom in the Spring make the area both scenic and beautiful in the Spring and Summer months. Holland Park is closely located to the area of Notting Hill and New Linden Hotel. You can drive to Holland Park from the New Linden Hotel in 6 minutes or walk to Holland Park from our hotel in 17 minutes. At the New Linden Hotel we want you you enjoy our perfect haven with a mixture of generous room sizes from cosy to expansive. Our luxurious rooms offer an attractive mix of European and Oriental influences. All of the bathrooms have white floor-to-ceiling marble and come with soft, luxurious towel bathrobes and exclusive toiletries.